CR-10 S4 is now ships from US for US orders. Great! 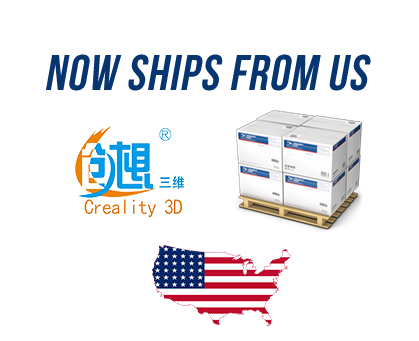 I received the printer rapidly and it was easy to follow the shipping with the tracking number. I am very happy about the printer. The package was alright. Good price too. Nothing negative to say about the whole process. The printer arrived well packaged and on time. It took about 30 minutes to set up after watching several YouTubes, The instructions are lacking to say the least. Prints have been excellent. I appreciate that all the tools needed were supplied and that even spares were included. A very good price for a very good product. Amazing to work with, only replacement i did was the glassbed, bought ikea mirror 30x30 wich i wet-sanded, no hairspray or glue ever again.